AXENS, a chartered accountant close to you. Axens philosophy is based human proximity which is the starting point of the relationship we build with the CEO we support. We have implemented several skill centers adapted to the different business activities and needs of our customers (Audit / Accounting / Tax / Social / Payroll…). To be close to our clients at all the different steps of their growth, provide with specific community computer tools. Member of France DEFI (1st French Group of chartered accountants and approved independent auditors). 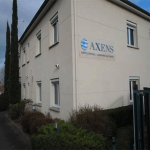 Axens guides companies in a personalized way, at all stages of their company life and that whatever is your business sector. You can also visit us in our offices in Lyon, Andrézieux, Saint-Etienne or Sainte-Sigolène.